I have never been much of a bread maker, but as the weather is beginning to change, I am getting the itch to bake! I bought a wonderful book called, “My Bread” by Jim Lahey. Not all of the bread recipes are Vegan, but many are. I highly recommend buying this book because the recipes are fabulous & the photos are gorgeous! This is the first bread I have made from his book, and “oh my goodness” it is good! 1. 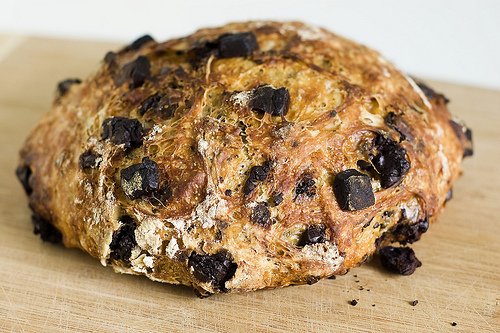 In a medium bowl, stir together the flour, half the coconut, chocolate, salt and yeast. Add the water and using a wooden spoon or your hands, mix until you have a wet, sticky dough, about 30 seconds. Cover the bowl and let sit at room temperature until the surface is puffy and the dough is more than doubled in size, 12 to 18 hours. 2. When the first rise is complete, dust work surface with bran or flour. Use a bowl scraper or rubber spatula to scrape the dough out of the bowl in one piece. Using lightly floured hands or bowl scraper or spatula, lift the edges of dough in toward the center. Nudge and tuck in the center of the dough to make it round. 3. Place a tea towel on your work surface, generously dust it with wheat bran or flour and sprinkle it with 1/2 cup of the remaining coconut. Gently place the dough on the towel, seam side down. Lightly sprinkle the surface with the remaining 1/2 cup of coconut. Fold the ends of the tea towel loosely over the dough to cover it and place it in a warm, draft free spot to rise for 1-2 hours. The dough is ready when it is almost doubled. 4. Half an hour before the end of the second rise, preheat the oven to 475 degrees, with a rack in the lower third, and place a covered 4 1/2 to 5 1/5 quart heavy pot in the center of the rack. 5. Using pot holders carefully remove the preheated pot from the oven and uncover it. Unfold the tea towel and quickly but gently invert the dough into the pot, seam side up. 6. Remove the lid and continue baking until the bread is a deep chestnut color, but not burnt, 20-25 minutes more. 7. Use a heatproof spatula or pot holders to carefully lift the bread out of the pot and place it on a rack to cool. I have recently come across a Children’s book, that is not only colorful, comical & tons of fun to read, but also has a really important message. It’s titled “Garlic-Onion-Beet-Spinach-Mango-Carrot-Grapefruit Juice”. Got all of that? 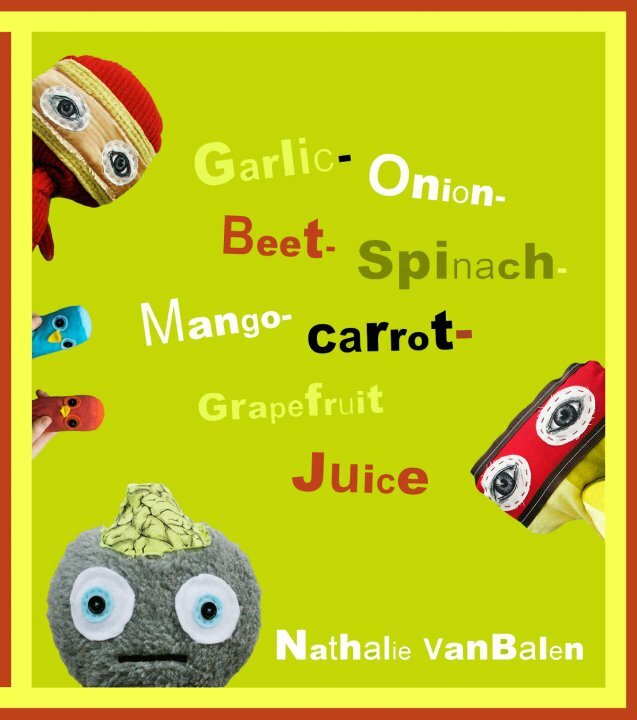 🙂 The author is a lovely young lady named Nathalie VanBalen, and I have a feeling that her new book is going to have a lot of children asking the question “how does it feel to be food”? 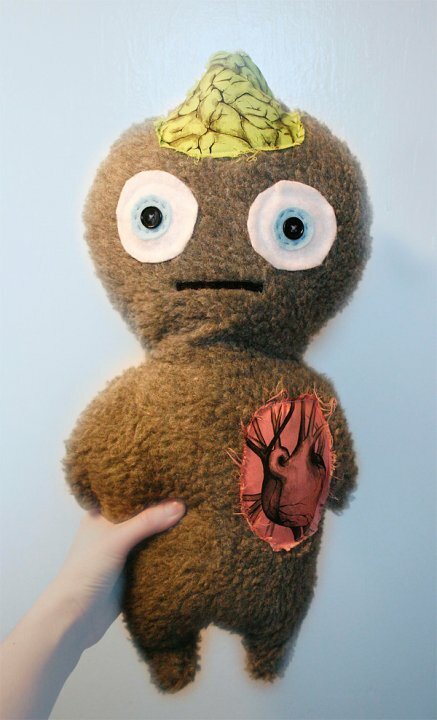 The book’s characters consist of 2 juice loving Vikings, a compassionate & “thinking” girl named Thora and 2 little tweeters. And they all live together in one squarish house. 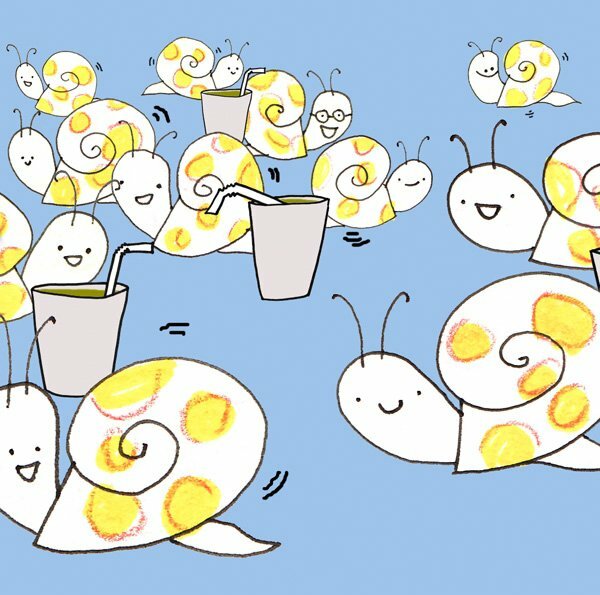 The Vikings soon learn that the newest & greatest addition to their juice mixture should be ground up yellow spotted snail shells, because of their high protein and vitamin content. So of course they gather up as many snails as they can find. As soon as Thora hears about this, she firmly reprimands the juice loving Vikings and says “yellow spotted snail shells are NOT for Vilkings”!! In a nutshell, my kids & I really enjoyed this book & I highly recommend it! It’s a little “outside of the box” which makes it all the more interesting! I used lots of funny voices while reading it, and my daughter found that pretty darn hysterical! Please check out the book’s website www.thorathinks.com , where you can purchase Garlic-Onion-Beet-Spinach-Mango-Carrot-Grapefruit Juice and also enjoy some online activities with you child.